The Birth includes action, suspense, romance, emotion, and history, setting the stage for more to come in The Soulmate Prophecy, an exciting new cross-genre series. 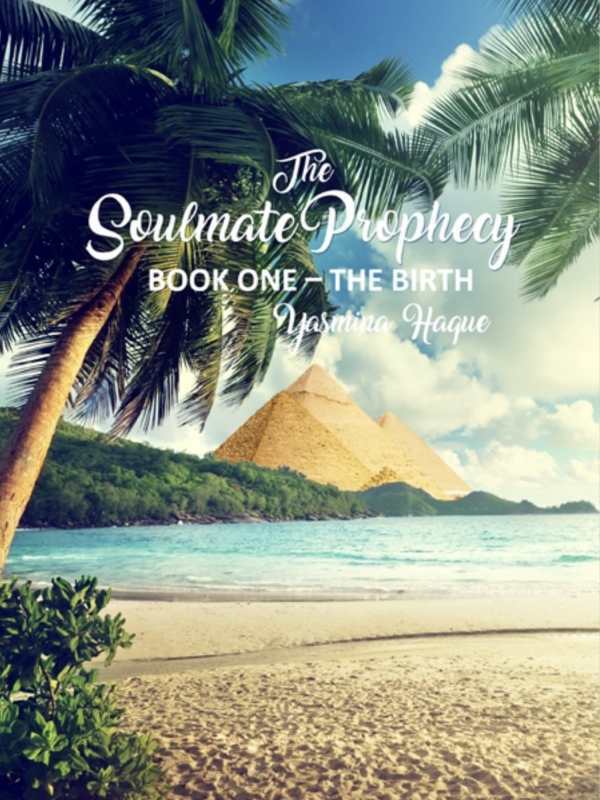 A top-secret testing facility harboring the world’s most brilliant minds is about to clash with an ancient supernatural force in Yasmina Haque’s The Birth, a fusion of science fiction, spy thriller, and historical romance that is book one of The Soulmate Prophecy, an alluring new series. Born in an underwater laboratory off the coast of Ecuador and genetically enhanced to be a ruthlessly efficient genius, Kaelyn has never been on the “surface” before; he is content to perfect his experiments and creations below ground. Lovelin, a quirky American writer, is planning a trip to Australia while flitting about with friends and talking to her cat. Worlds apart, the two slowly connect through a mystic link dating back centuries to Egypt and a pair of star-crossed lovers. Told in alternating points of view, each chapter is headed with a location, date, and person, making the multiple jumps and switches easy to follow. It is never made abundantly clear what part Laila and Khale—unusual twins born to a young Egyptian couple—will have in the overarching story, but their tale is fascinating and edgy, verging on tragic. When similarities begin to develop between Laila and Lovelin, Kaelyn and Khale, it all begins to come together. “She is a part of me. She is within me. She is my blood,” Kaelyn says of a woman he has never actually met. Three distinct settings emerge: Lovelin’s contemporary cityscape, Kaelyn’s sterile labs, and the sun and sand of Laila and Khale’s desert home. These create a fascinating juxtaposition of futuristic technology to the primitive lifestyles characteristic of Egypt in the fourteenth century BCE. Each world is saturated with details down to the “2000 thread count Egyptian cotton black sheets,” with numerous histories and anecdotal stories included, along with daily apparel, cuisine, childhood memories, personalities, and preferences. Every sight, sound, smell, and emotion that you would need to develop backgrounds and characters seems to be cataloged. But neither characters nor backgrounds are fully fleshed out. Kaelyn’s escapades with a mysterious woman and his colleagues’ illicit experiments are hinted at repeatedly, but they are never explored. Questions arise in every facet of the story. As the complex lines begin to come together, suspense builds and action accelerates; passions ignite in a magnificent crescendo. Beware the ending, though, as answers are not forthcoming in this volume. Spelling inconsistencies and grammatical errors appear throughout. Timeline and character contradictions may cause confusion.